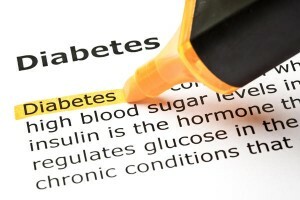 A plaintiff claims that use of diabetes drug Invokana led to kidney failure. The plaintiff only took the medication for two months before she began having life-threatening side effects that forced her to stop taking Invokana and seek medical treatment for her kidney problems. Judith Buchanan filed her lawsuit on September 16 in U.S. District Court. In the complaint, Buchanan states she took Invokana from January 2015 to March 2015 for the treatment of diabetes. At the time the drug was prescribed, Buchanan was under the impression the drug was not only safe, but would also be more effective in managing her blood sugar levels. However, Buchanan found out later that SGLT2 inhibitor was linked to serious side effects that were not listed on the product label. Buchanan further asserts in her lawsuit that the manufacturers of Invokana, Johnson & Johnson and their Janssen subsidiary, should have known about the risks associated with their drug. This drug falls into the category of SGLT2 inhibitors, which work to lower blood sugar levels by the excretion of glucose through the urine. However, the process can put extra strain on the kidneys in patients that are already at higher risk for kidney disease. The plaintiff cites statistics from the FDA adverse event database that shows patients taking Invokana are several times more likely to develop kidney damage than patients that do not take SGLT2 inhibitors. In June of this year, the FDA strengthened their warning about the possibility of “acute kidney injury” associated with this drug, based on their adverse event reports. Though not included in this complaint, a 2015 report from the Institute for Safe Medication Practices (ISMP) also identified 457 serious adverse event reports that included 54 cases of kidney damage or failure. Buchanan states in her complaint that Johnson & Johnson and Janssen clearly knew about the risks associated with Invokana, but failed to warn the medical community or patients about these risks. Although Buchanan is a resident of North Carolina, she filed her Invokana lawsuit in U.S. District Court for the District of New Jersey, Trenton Division, where many other cases are currently pending. A request has been made to coordinate the growing caseload into multidistrict litigation which would streamline early trial proceedings for the convenience of all parties involved. While some of those lawsuits allege Invokana led to kidney damage like Buchanan’s, others assert that use of the drug caused a serious blood condition known as ketoacidosis. This condition occurs when acid levels build to dangerous levels in the blood, which can be fatal if it is not properly diagnosed and treated quickly. Symptoms of ketoacidosis include abdominal pain, nausea and vomiting, difficulty breathing, and confusion.